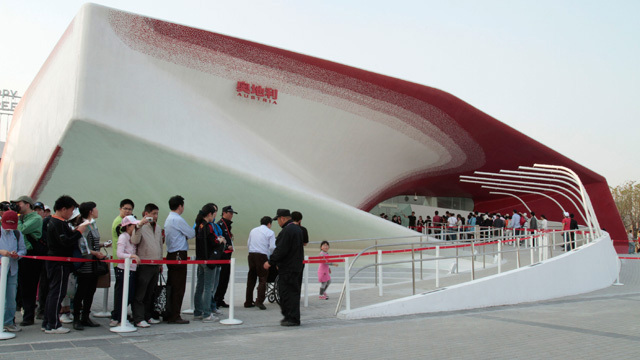 Peyote was commissioned by the Austrian Expo office to design the exhibition of the Austrian Pavilion at EXPO 2010 in Shanghai. 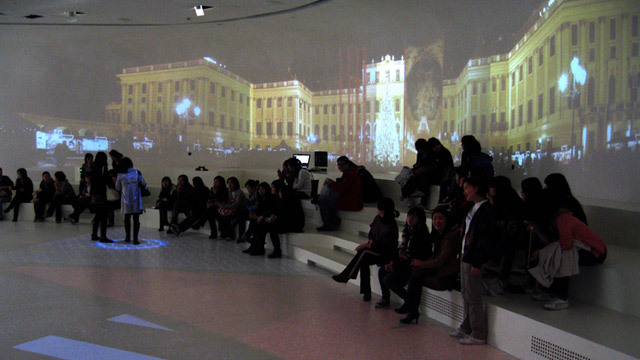 In the pavilion, the walls, ceiling and floor were played with images and films showing the diversity of Austria – its mountains, forests, lakes and rivers, as well as the diversity of the urban living space with all of its cultural and economic connections. 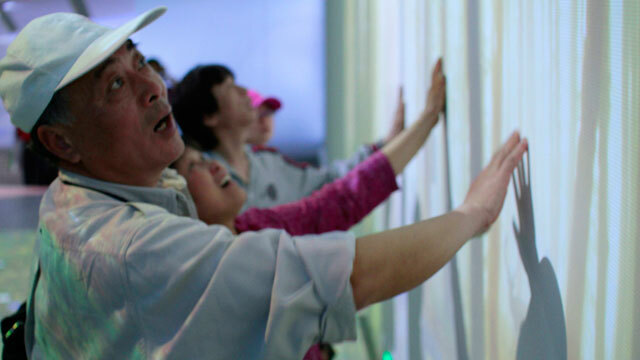 Visitors’ movements influenced what happened. 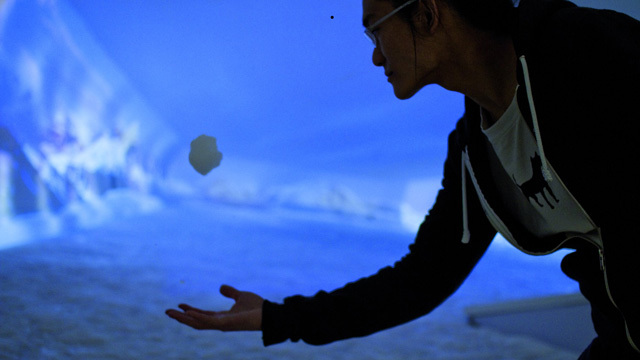 Infrared and laser sensors, as well as numerous cameras registered whether a visitor strolled past, turned towards an image – or even hurled a snowball at the mountainside. Thus visitors could playfully start further images and details – blooming flowers, deer appearing on forest paths, birds starting to twitter. 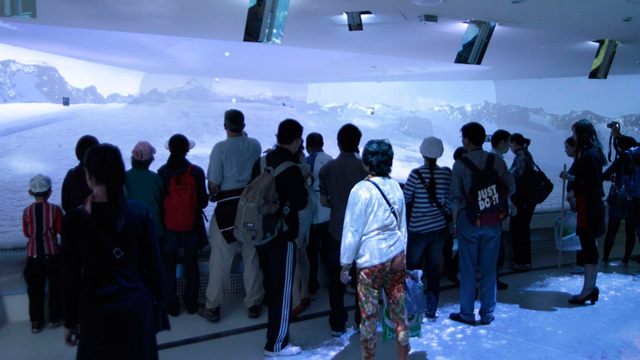 In the city room, video and image layers overlaid each other to form a 360-degree panorama of urban cultural and commercial life. 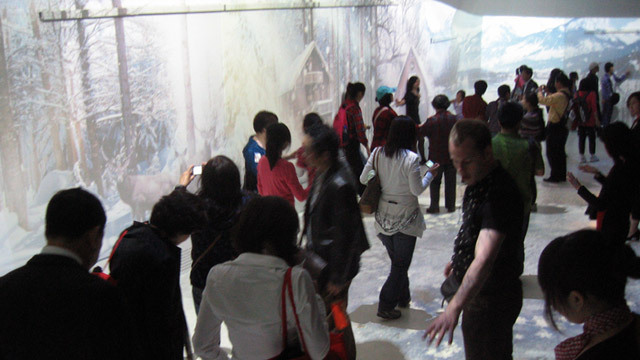 As a group, the visitors decided which of the six themes they wanted to see next, and the selection was made through interactive zones on the floor. All of the rooms had suitable sound effects: the murmur of water, the crunch of snow, animal noises, industrial noises, classical, traditional and modern music all supplemented the visual impressions. 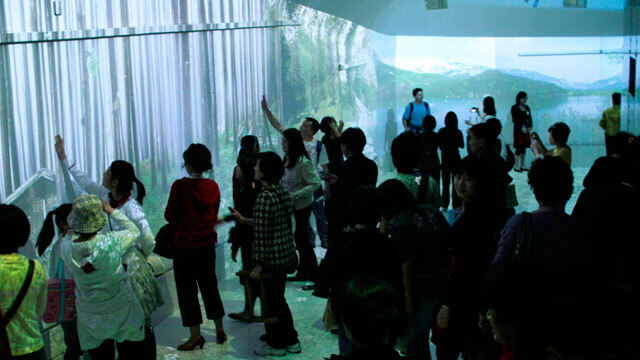 Within Expo 2010 in Shanghai, advertisements for Austria, presenting the most beautiful tourist destinations, were on a Peyote iWall; on a separate iWall in the VIP area, the Chamber of Commerce presented both Austria as an economic location, as well as corporate portraits.